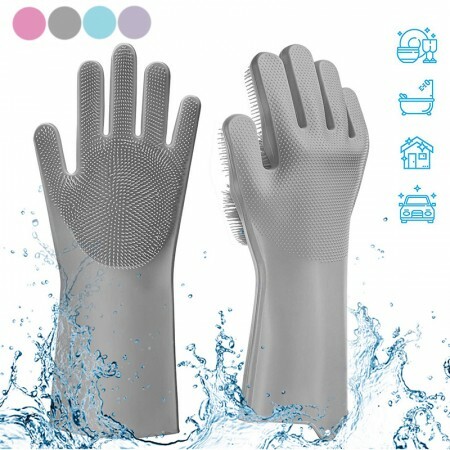 Are you upset about doing housework that hurts your beautiful hands? 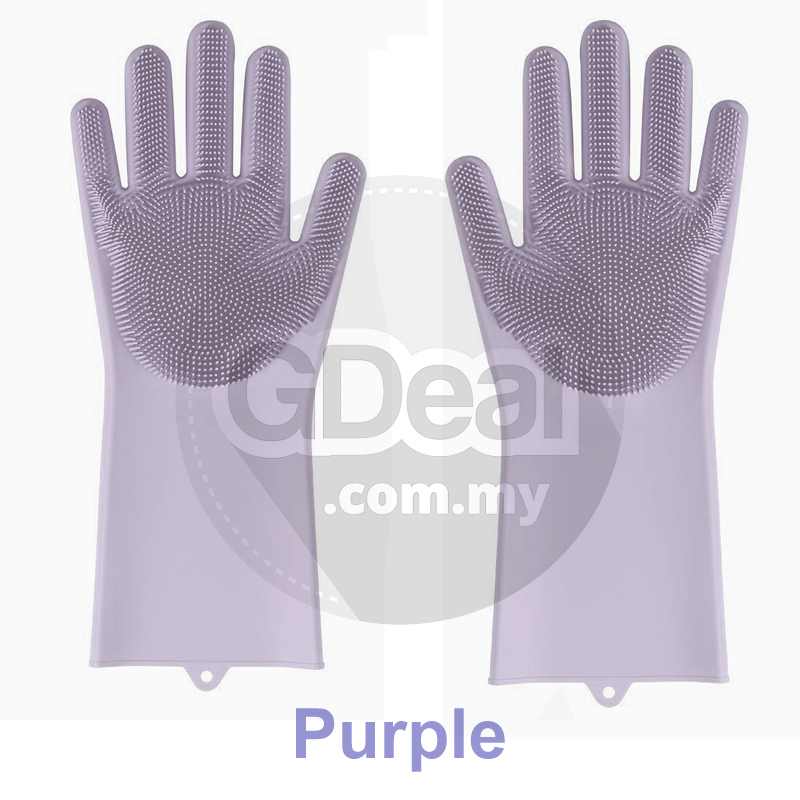 The Magic Hand Gloves is a convenient, simple and durable multipurpose gloves that combines the function of scrubber and rubber gloves. 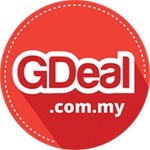 It can be used for household cleaning, pet hair care, car washing, dishwashing and more. This soft and flexible Magic Gloves is made of high-quality and environment-friendly silicone. It is more hygienic and antibacterial compare to your regular household and dishwasher cleaner and it's super easy to clean. Convenient & Durable. 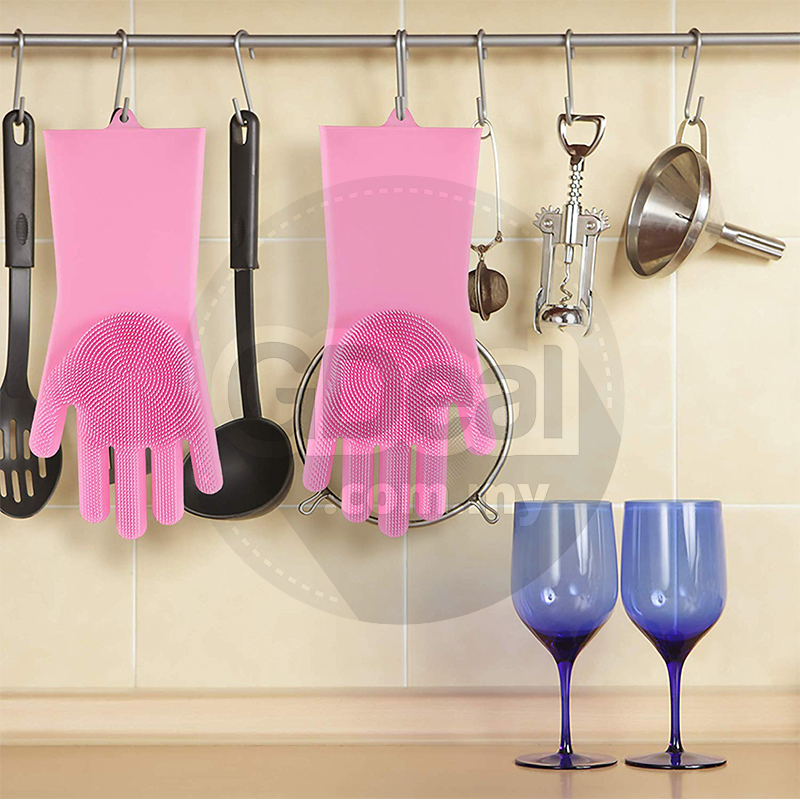 Combined design of sponge, and rubber gloves. 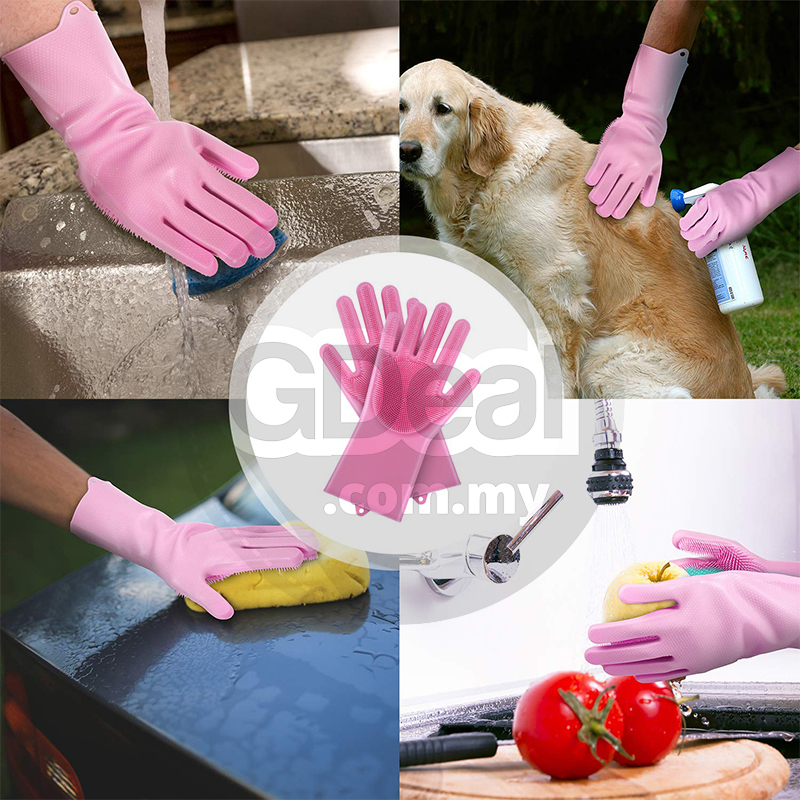 No brushes or sponges are needed for convenient cleaning, just like using bare hands. Clean in boiling water. It has heat resistance up to 160 degrees Celsius so it can be sterilized with boiling water or microwave ovens(2min). 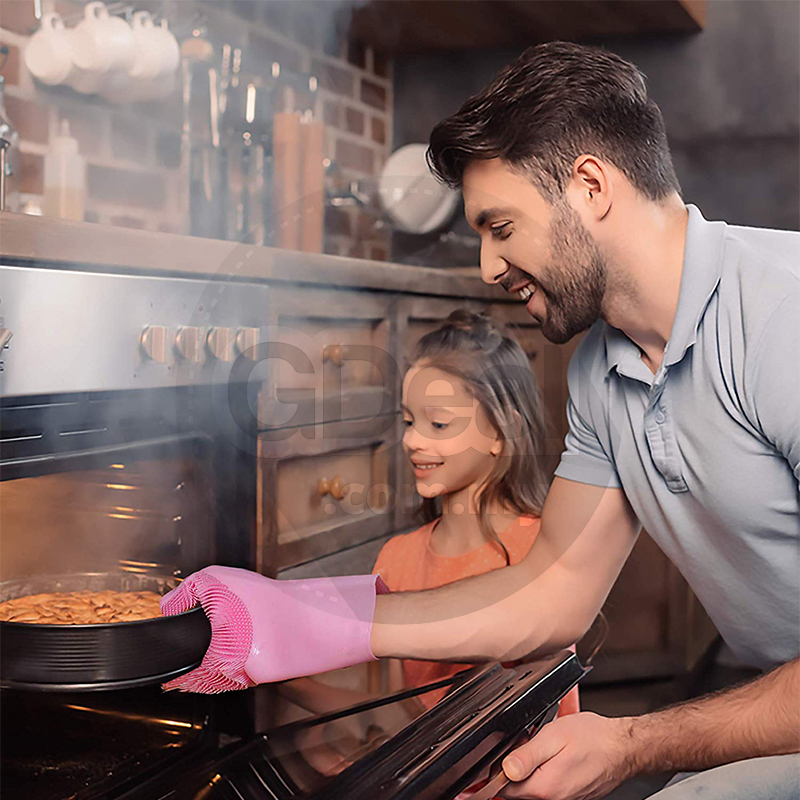 Can also be used to move hot dishes or to remove oven dishes. Available semi-permanent use. It is highly elastic, resilient and does not tear easily. Multiple Use. 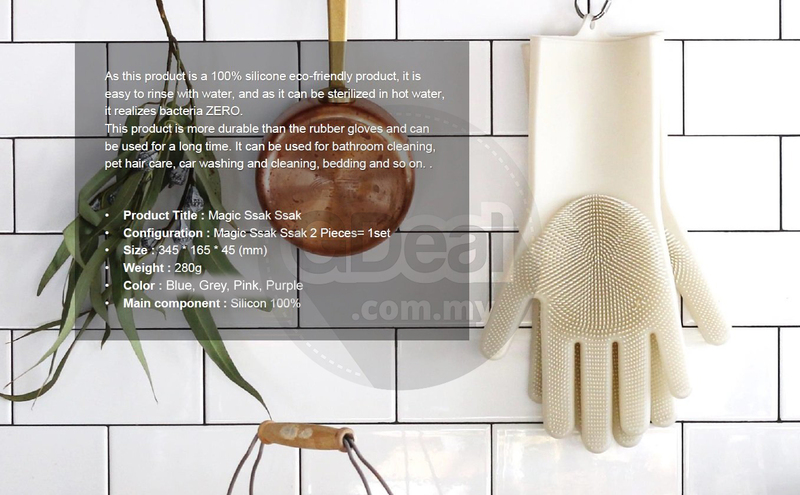 This Magic Hand Gloves can be used for kitchen, washing dishes, fruit & vegetable cleaning, cleaning the bathroom, cleaning the bedroom, removing wardrobe dust, care for pet hair, and washing the car. Easy to use. 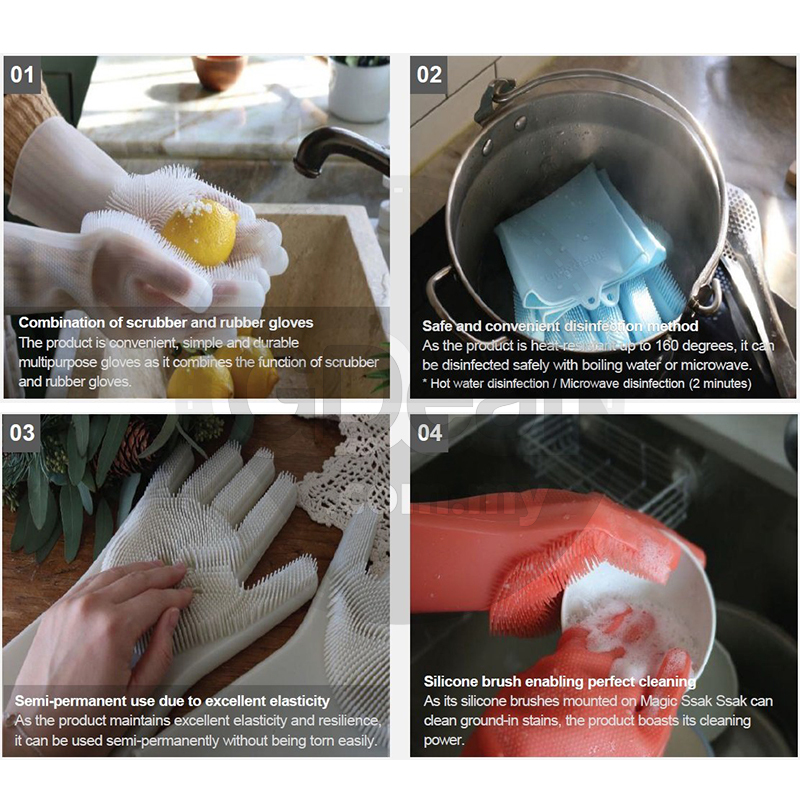 Magic silicone gloves have densely bristled and easy to foam. No need to wash, just a small amount of detergent, gently pull out the thick foam, so that the stains have nowhere to escape. 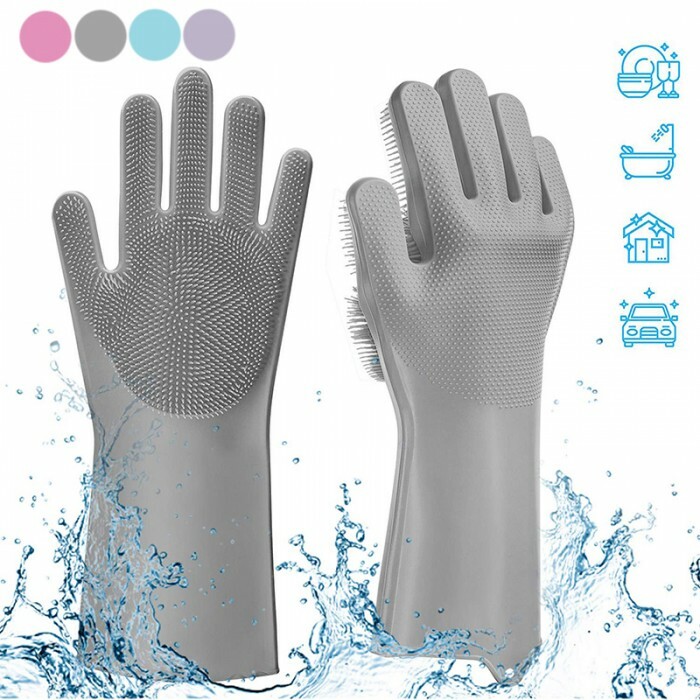 At the same time waterproof and oil proof, fast and natural drying, , no residue. Strong toughness, not easy to curl, free to stretch without deformation. Internal Bump Design. 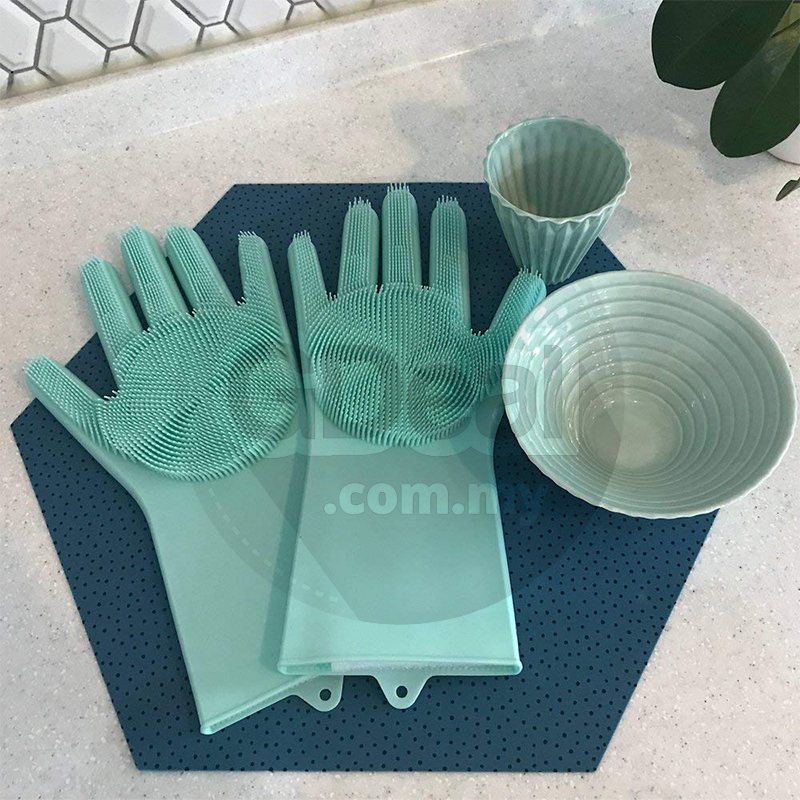 Magic silicone gloves have a non-slip texture to ensure better grip and control, easy to wear, and do not feel uncomfortable for long periods of use. Four Seasons Gifts. 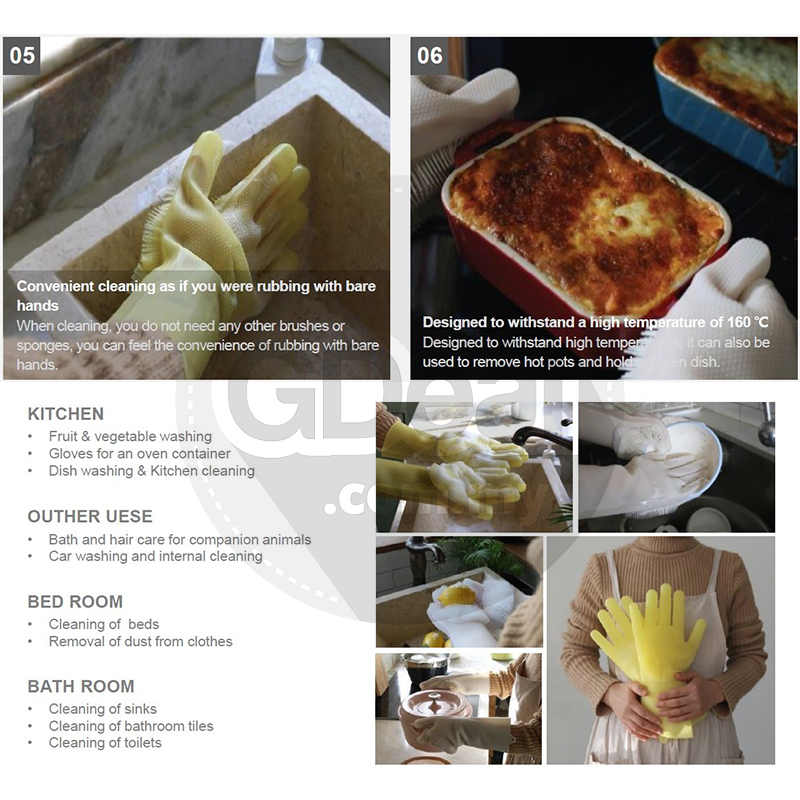 Magic Silicone Gloves is a household item for families and friends, spring, summer, autumn and winter. Needed at all times. Don't let cleaning supplies hurt their hands. All-Around Cleaning. 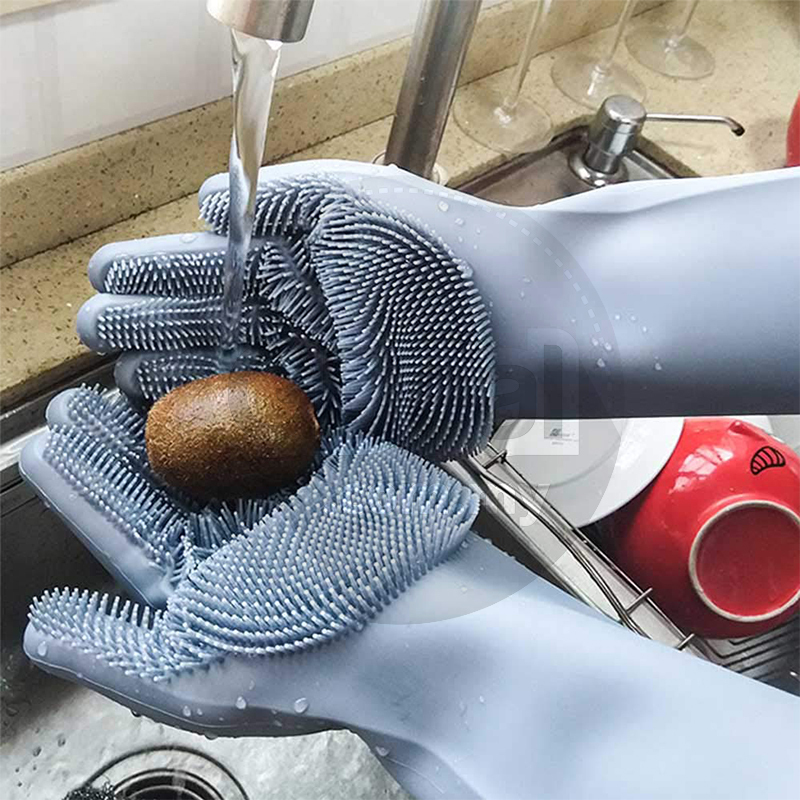 Our silicone gloves with wash scrubber isn't just for dish washing. Use it to clean tiles, walls, windows and counters. You can clean your car and groom pets with it, too! Better than sponge. Ditch that cleaning implement now. 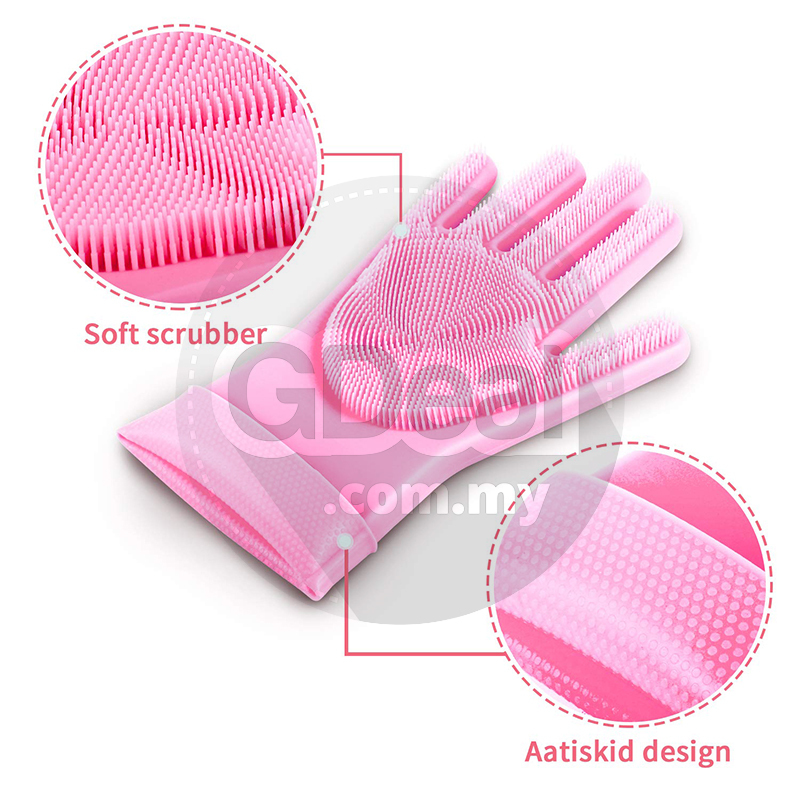 Our dish gloves with scrubbers are your more hygienic alternative. Unlike sponge, they DO NOT retain water and bad odors or harbor bacteria. Anti-Bacterial. 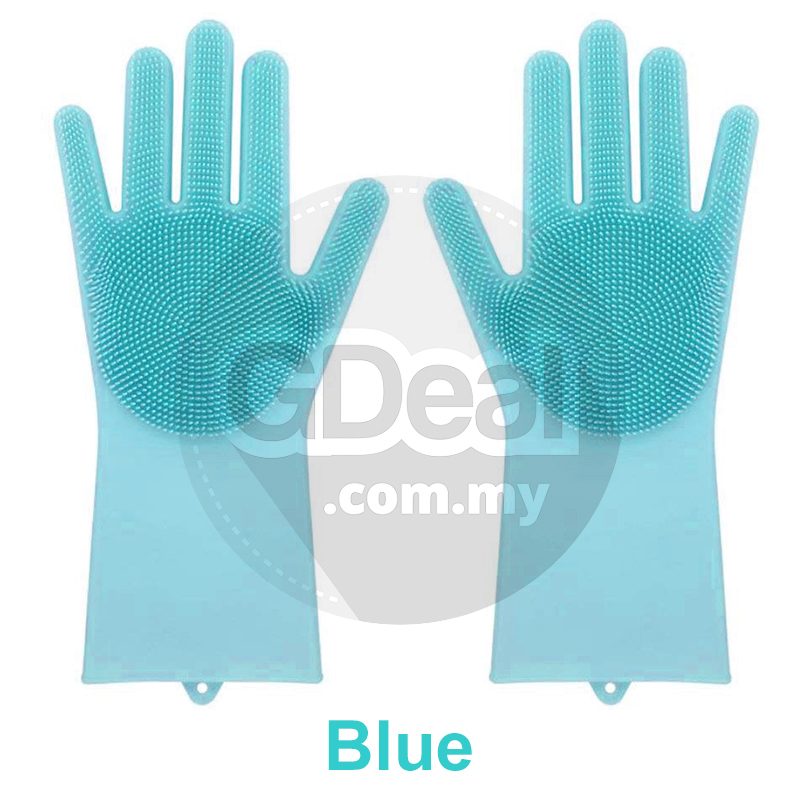 Made of food grade silicone, our water resistant gloves are safe to use for cleaning fruits and vegetables. They are also latex-free so you don't have to worry about allergies. It’s great for removing dust and lint from your wardrobe, too! 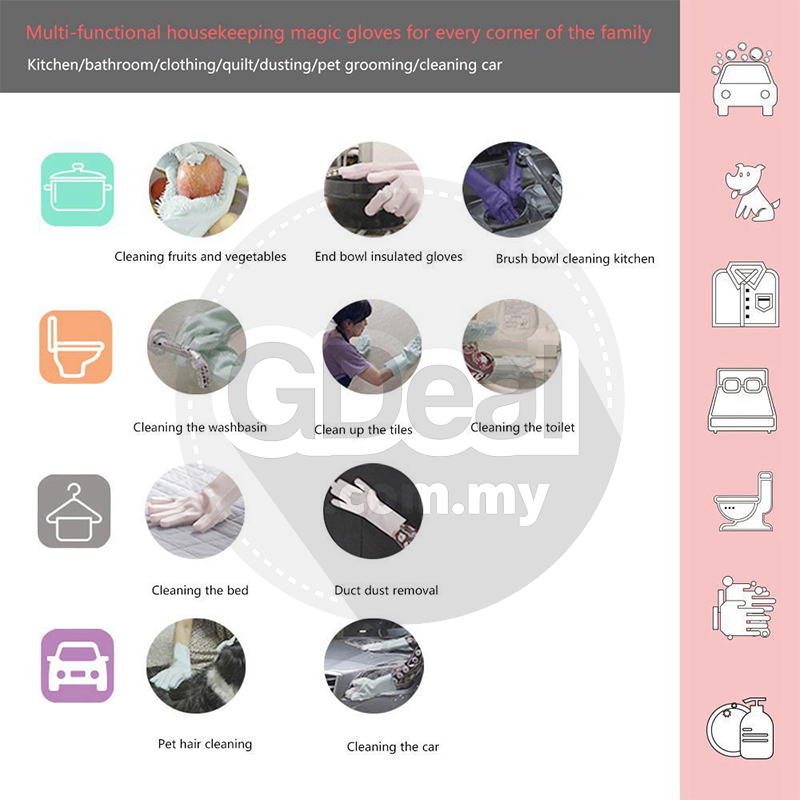 Multifunction: Magic silicone gloves are suitable for every corner of the home. Dishwashing / fruit / vegetables, cleaning the kitchen / bedroom / bathroom, sweeping sofa / wardrobe / carpet dust, pet brush / cleaning car.